Why did Iron Lady Irom Sharmila lose? Manipur’s activist-turned-politician Irom Sharmila’s foray into electoral politics has not been a pleasant one. GUWAHATI: Manipur’s activist-turned-politician Irom Sharmila’s foray into electoral politics has not been a pleasant one. She lost the polls by a huge margin of votes to three-time incumbent chief minister Okram Ibobi Singh of the Congress in Thoubal seat. 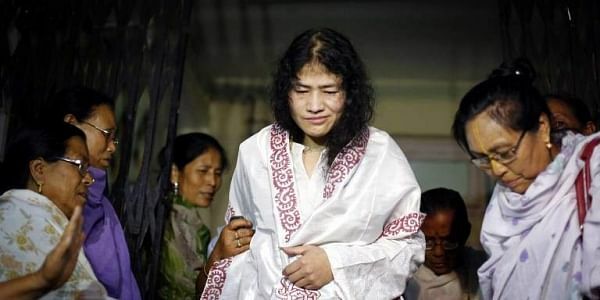 Irom Sharmila had changed the turf of her fight against controversial Armed Forces (Special Powers) Act (AFSPA) last year by ending her 16-year long fast and founding People’s Resurgence and Justice Alliance (PRJA). She had asserted that she would try and achieve her goal, which is the repeal of AFSPA, politically. There are basically three factors behind her defeat. She lost mass support by ending her fast and contesting elections. In a State that has some 1,500 cases of extra-judicial killings, she was the face of the movement against AFSPA. So, when she ended her fast, people perceived it as the end of the movement. Another reason is the PRJA’s low-key poll campaign. The party, which fielded just three candidates, fought the polls with less than Rs.3 lakh. There was a perception among people in Manipur that she would not even be able to give Ibobi a fight, let alone win. For Sharmila, it was a symbolic fight. She received 90 votes, which was lesser than the 143 votes that went in favour of None Of The Above (NOTA).